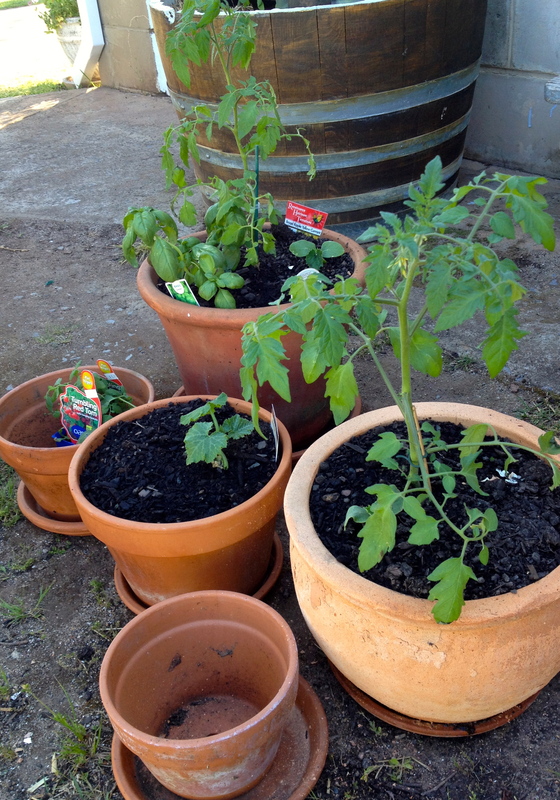 One of the few vegetables I planted when I first arrived (even before moving in) was tomatoes – mainly the cherry variety. These are great little plants and fruit – being able to pick a handful of mixed varieties for a salad for one person, or harvesting a larger crop for entertaining or preserving. The cherry plants are also a little more manageable than some of the more rampant varieties. This time, all varieties are clearly tagged so I can determine the best performers (or best locations). I’ll also collect and label seeds. It’s been a bit disappointing that I don’t seem to have plants coming up from last year’s crop. 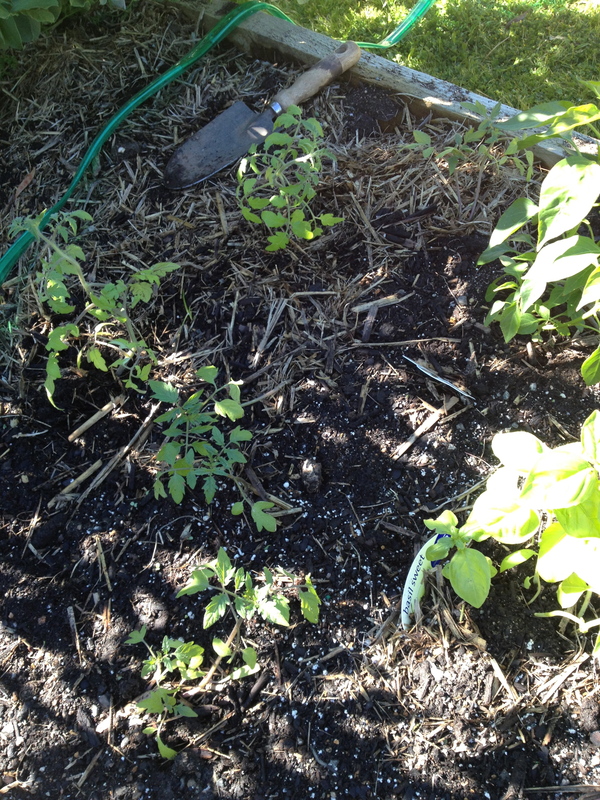 I was careful to leave some of the tomatoes to self-seed. Well, it’s still early in the season. 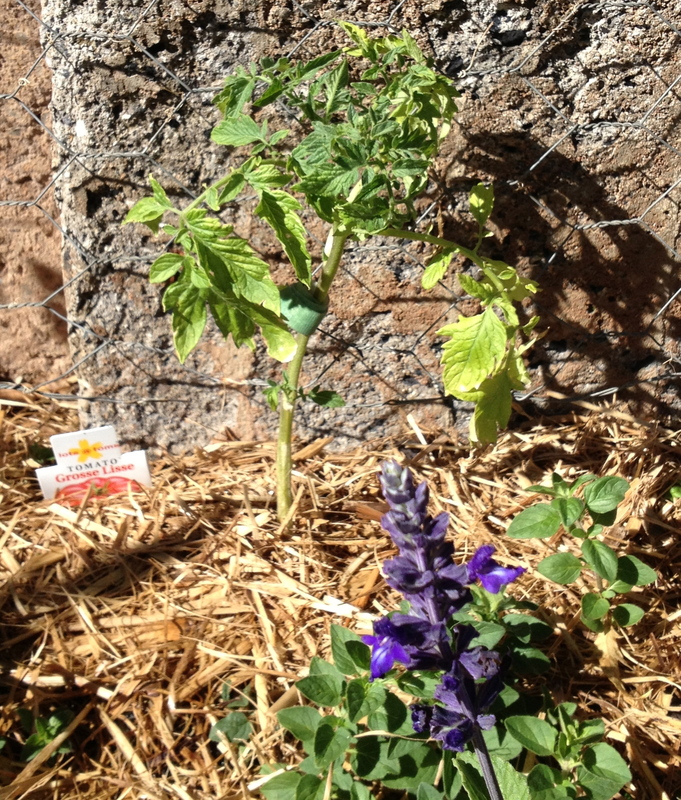 Tomatoes in the veg beds. I’m sure I can find a few more places for them. I’ll have to! This looks great – I just started my tommies, so excited!